Celebrate the wedding of your dreams against the dramatic coastline of Cabo San Lucas, Mexico, surrounded by your dearest friends and family. 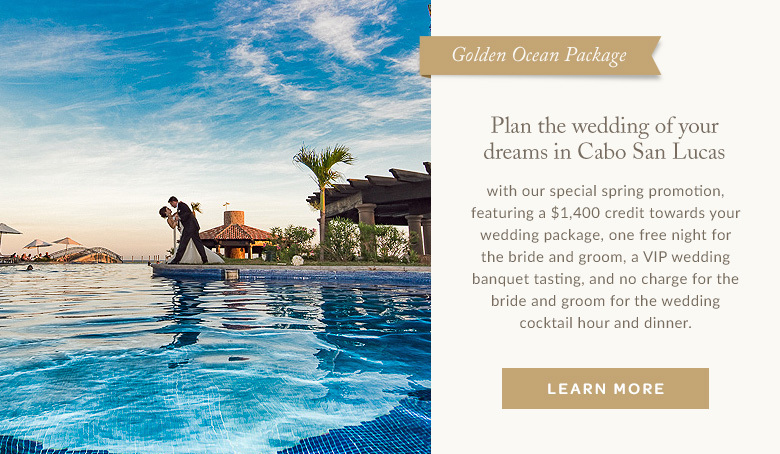 Pueblo Bonito Sunset Beach Golf & Spa Resort, situated on an ocean bluff amid the flowering gardens of a terraced landscape, offers full-service wedding packages for the wedding celebration of a lifetime. With a private chapel, secluded oceanfront location, full-service resort amenities, and a team of expert wedding planners, it’s easy to see why Pueblo Bonito Sunset Beach Golf & Spa Resort is the ultimate destination for Cabo San Lucas weddings. You may contact our weddings department at any time and we will get back to you at our earliest convenience.